Choosing a place to call home is one of the most consequential choices a coral can make. In the animal’s larval stage, it floats freely in the ocean—but once it settles down, it anchors itself permanently to the rocky substrate of a reef, and remains stuck there for the rest of its life. Exactly how these larvae choose a specific place to live, however, is largely unclear. A new study from the Woods Hole Oceanographic Institution (WHOI) is starting to unravel that mystery. 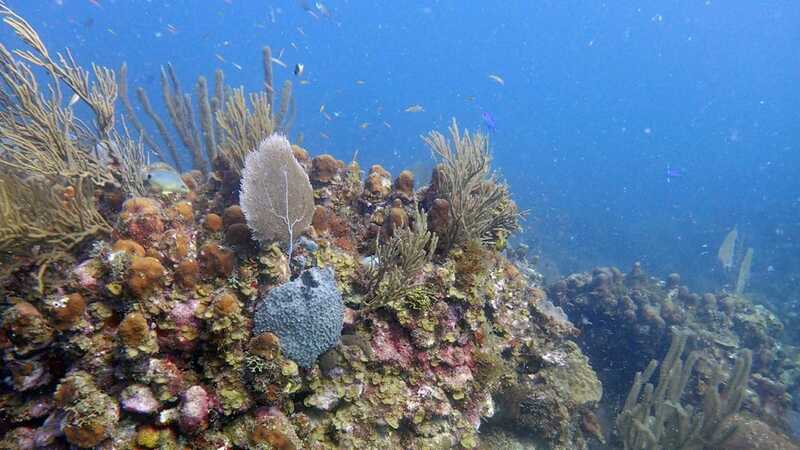 Researchers found that the soundscape of a reef—the combined sounds of all animals living nearby—might play a major role in steering corals towards healthy reef systems and away from damaged ones. The study was published Dec. 12, 2018, in the journal Royal Society Open Science. Healthy reefs, says Apprill, are not exactly quiet places—they’re filled with the constant crackling of snapping shrimp, low grunts from fish, calls from dolphins or whales, and other noises. It’s a bit like being in a lush rainforest, amid a cacophony of bird songs and animal calls. 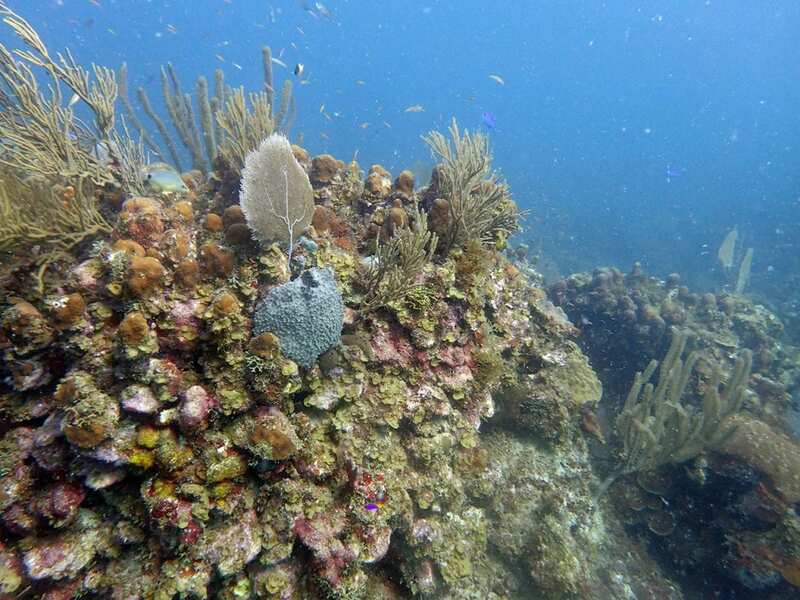 To test how those sounds influence corals, Apprill and her colleagues first collected newly-spawned larvae from colonies of Porites astreoides, or the “mustard hill coral,” a common variety on reefs near the Caribbean island of St. John, where the study was based. Once collected, she placed the tiny animals in sealed containers of seawater, each with a ceramic substrate inside to simulate rocky surface of the reef. The team fixed the containers in three places in the waters off St. John: a bare, sandy patch, a dying, unhealthy reef, and a more thriving, heavily-populated reef system. 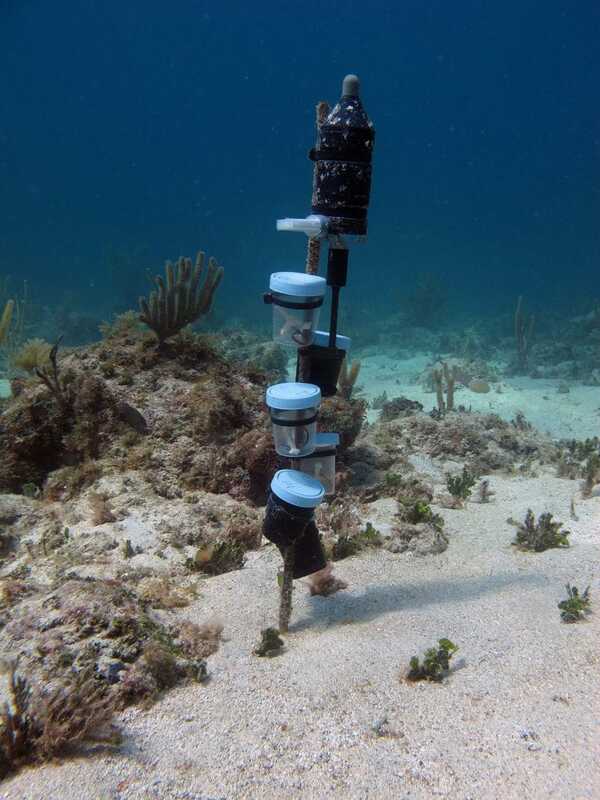 Above each cluster of containers, the researchers placed a hydrophone, a specialized microphone that can measure sound underwater, and recorded the site for the next two and a half days. At the end of the experiment, the team counted the number of coral larvae that had settled in each area, and analyzed the soundscape around them. “In all areas, you’ll hear snapping shrimp, this sort of pervasive crackling sound that’s similar to bacon frying. It’s a constant background noise. 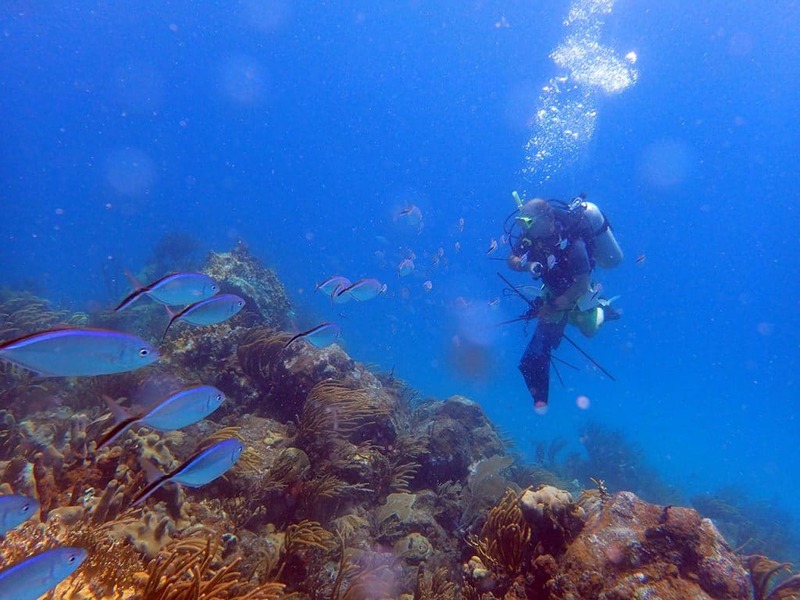 On healthy reefs you also hear the sounds of fish‚ these really low frequency grunts and chirps and knocks,” says Aran Mooney, a sensory ecologist and bioacoustician at WHOI, who recorded and studied the reef audio. “Those sounds potentially reflect the biodiversity of a reef. A nice healthy reef is going to have a lot of fish sounds, and a non-healthy reef is going to have very few fish sounds,” he says. Coral larvae may take note of those sounds. On the study’s “healthy” reef, which had a large variety of low-frequency sounds, larval settlement was twice as high as the less-healthy or control sites. “We think that without those sounds, the larvae might pass up the option of settling in a particular reef,” Apprill says. She thinks these findings could lead to better ways of preserving coral reefs in the future, like reducing noise pollution from boats, ships, and low-flying aircraft near sensitive marine sites. It might even help rebuild those reefs damaged by climate change or intense storms. Also collaborating on the study were Justin J. Suca, Cynthia Becker, and Joel Llopiz of Woods Hole Oceanographic Institution. Funding for the study was provided by NSF Biological Oceanography award 15-36782, which supported all authors.